The SPCA run was at 7 am. I woke up at 6 am to get ready. The air in the morning is so fresh. There were hardly any cars on the road. I like the stillness and the peace. This peace was robbed by one Bangladesh who molested me with his eyes while I was waiting at the bus-stop. I felt so uneasy all over. Nothing to do. 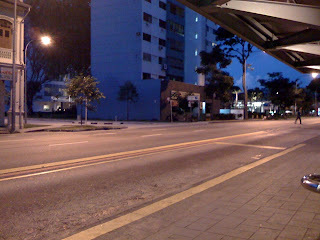 Take some photos while waiting for the bus to arrive. 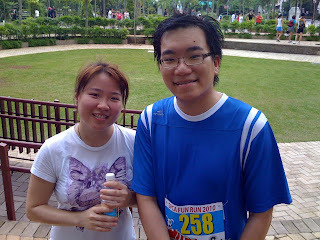 We started running at 7.08 am and ended the 4.8 km at 8 am. Of course we walked alot. 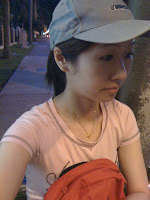 I was still having mild headache and stomach cramps. It started pouring at 8.15 am for about 4 hours. I met up with Hong Wei for the second time. It's really nice to see him. We chatted a little. Hong Wei is a nice guy. It's rare to have a guy who will come for such a charity event. If he came with his girlfriend, perhaps he is forced to come (like how I would have forced panpan to come with me if he is around). 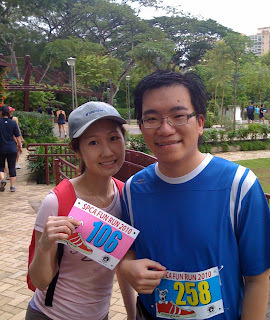 But he is single yet he is willing to forgo his Sunday morning for a run. He sacrificed his morning sleep (could have even sacrificed the night before [World Cup Korean v duno-who] to sleep early). All typical guys would say 'Har... Sunday morning leh, HAR... 7 am, siao meh?!' 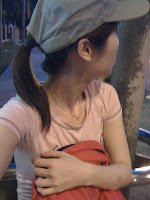 But He was early for the run (reached MacRitchie at 6.50 am. 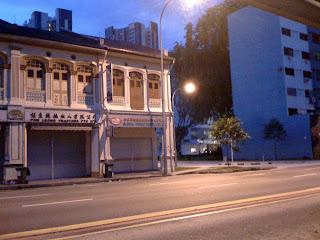 even I was late for 8 minutes lor). He is very polite and friendly to Meyinn too. Therefore, I conclude that Hongwei is a really nice and disciplined guy. wow u have discipline to get up so early! I cant even be out of the house at time..